so, what’s the bad idea: high order interpolation, or interpolation with equally spaced points? 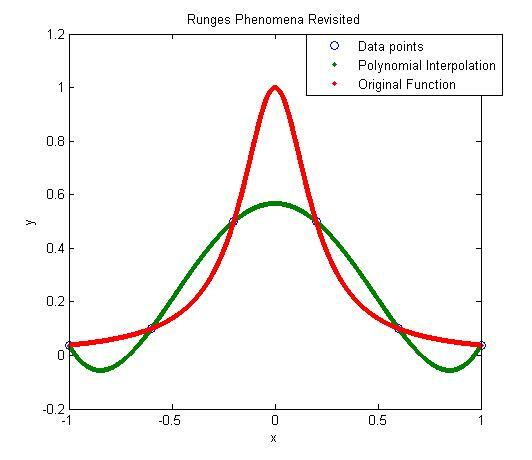 Higher order interpolation is. With interpolation, you will not have the privilege of choosing the data points, they will be given to you. Also, the choice of points works only for certian functions. There is no geenral rule of how one can choose points to ensure higher order interpolants to be close to the data. so, if i want to speed up evaluation of a complicated function using a lookup table and interpolation, i can not choose the data points? weird! sure, in real life there’s nothing that’s guaranteed to “always work”. but i’ve been under the impression that chebyshev nodes were a generally safe bet. none of this, of course, is meant to detract from a very useful series of posts! 1. Yes, you can choose data points if you are approximating a continuous function. A lookup table though will have discrete data. 2. We are talking about math here, not real life. For example, that bisection method always converges is proven, but the chebyshev nodes for interpolation works is not a proven as far as I know. It does work for Runge’s function though. May be that is where the myth started. 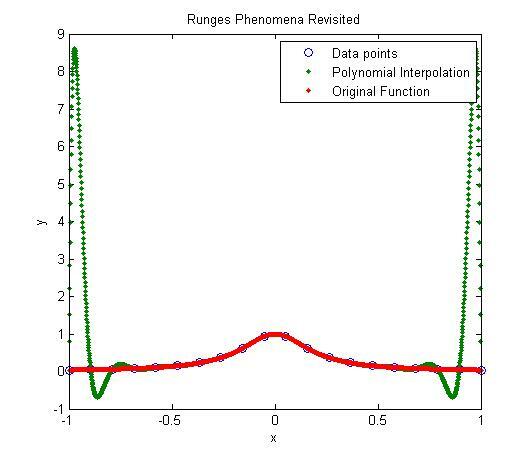 Previous Previous post: If a polynomial of order n or less passes thru (n+1) points, it is unique!